The Hawaiian Island of Kauai is known for its breathtaking scenery and wonderful vacation homes. A Kauai vacation rental home will allow you to live like a local for an unforgettable vacation. Come discover our picturesque beaches and charming towns, from the seaside Hanalei and elegant Princeville to the artsy Hanapepe. Dramatic beauty is abundant on Kauai with stunning peaks and waterfalls, pristine beaches, and the world-famous Na Pali Coast with its rugged seacliffs and deep ancient valleys. Sunny Poipu on the south shore is known for its year-round perfect weather and idyllic beaches. 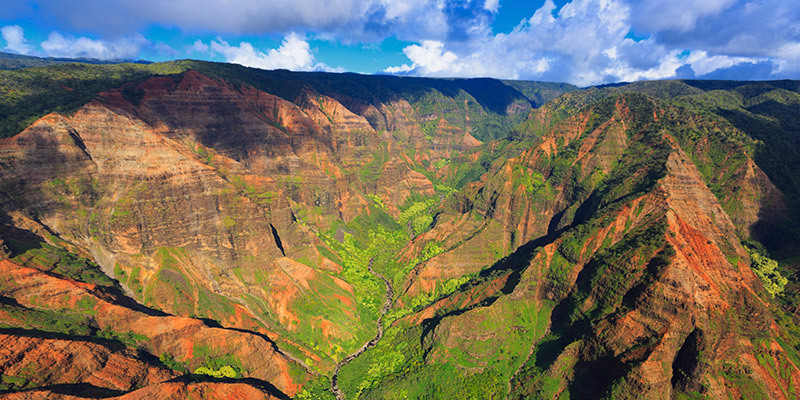 On Kauai’s west side is the Waimea Canyon, known as the Grand Canyon of the Pacific. Kauai’s North Shore is lush and tropical with beautiful white-sand beaches. The lovely "House of Health" was the beach house of the first doctor on the North Shore in the 1920's. Home is currently on the market for sale. Guests may be asked to accommodate realtor showings. Large Anini Beach oceanfront home, steps to the beautiful white sand beach of Anini on Kauai! This beautiful beachfront Hanalei Bay home is located steps from the sand on Kauai's majestic north shore. It features 3 bedrooms, 2 bathrooms and ample living space both inside and out. Located just minutes from Hanalei town, you will never want to leave this perfect location. Spacious, private north shore home. This is a gorgeous five bedroom, four and a half bath home located on a cull-de-sac, just steps from Hanalei Shopping Village and just up the street from the State Park at Hanalei Bay, the island's perfect family beach.